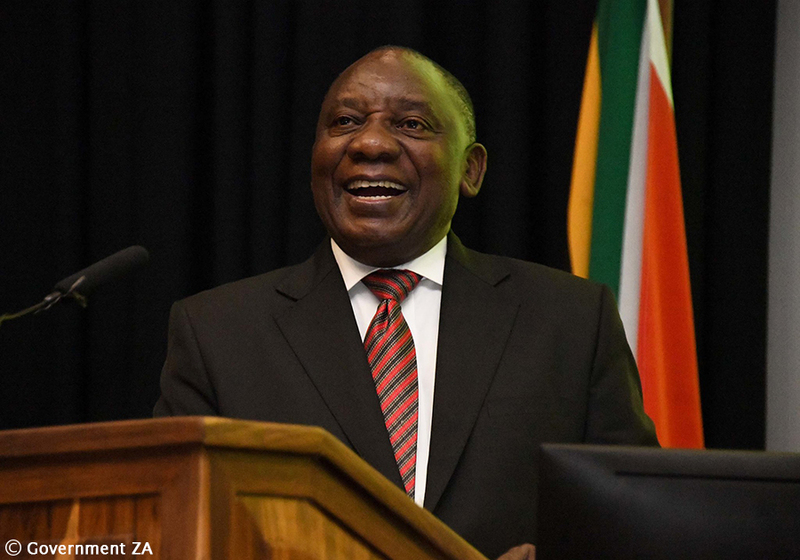 President Cyril Ramaphosa visited the Nelson Mandela Bay on the party’s campaign trail and commented on the city’s dirtiness and failing coalition. Addressing a crowd during a campaign trail in the Nelson Mandela Bay, Port Elizabeth, on Sunday, 14 April 2019, President Cyril Ramaphosa said, “the municipality has made the area here to be very dirty.” Ramaphosa was welcomed by hundreds of supporters at the George Botha Hall in the Kleinskool area. Local Khoi-San leaders praised Ramaphosa before gifting him with handmade fur attire while endorsing the ANC. The Nelson Mandela Bay municipality coalition government is led by the United Democratic Movement’s (UDM) mayor Mongameli Bobani but is mainly made up of African National Congress (ANC) councillors. President Ramaphosa said the coalition government is not working. “Here in this metro we are locked in a coalition that is not working. This coalition government is not working, and you know why? Coalition governments never really work well. You only need one political party to run the affairs of government. We have to get to the point where we have one boss and in our case that’s the ANC. “The metro needs our attention and the services meant for people are not there. Government is meant to serve the community,” he said. During this address, people told Ramaphosa that they would be voting for the ANC come 8 May, because the party had “owned up to its mistakes.” They also expressed that they trusted the ANC and saw it as the best alternative to take South Africa forward. Concerned Citizens of PE Metro community leader Farouk Jeptha was at the meeting and said it was time to see implementation of the plans promised. “We want to see more police, and gang violence brought down. I think most people want to vote ANC, but they want to see change and progress. “The coalition is definitely not working. They spend most of their time putting votes of no confidence against mayors instead of doing the work of council,” he said. Addressing the widespread crime in the country at large, Ramaphosa paid his respects to the family of 12-year-old Alvineesha Brooke, who was killed last month when she was caught up in gang crossfire in Port Elizabeth’s northern areas. “This is not electioneering. This is about showing compassion. “We are going to focus on training police officials so that the criminal justice system works for our people. We are on our way to correct things that need to be put right,” he said. As for 8 May, Ramaphosa urged people to exercise their democratic right to vote, prompting them to vote for the ANC. “Wake up, you don’t need to brush. Forget about your lipstick because that day you have a date with me,” Ramaphosa said to the cheering crowd.